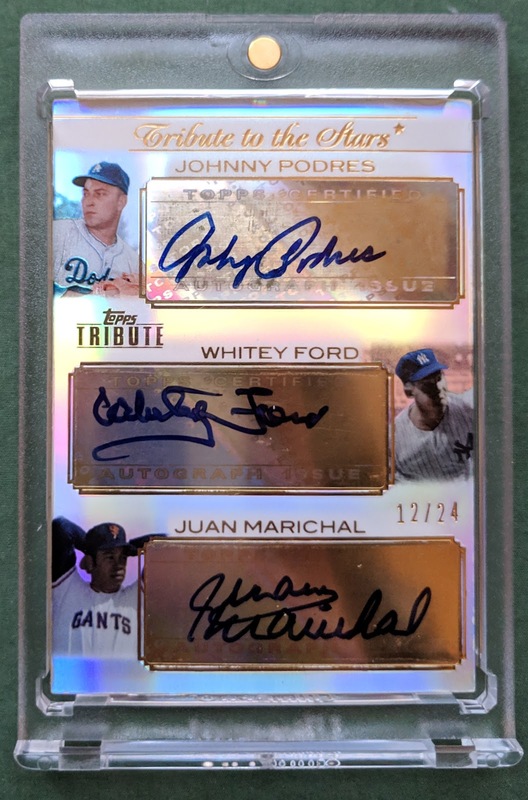 Sweet addition to my minicollection of cards numbered 12/24 with this one featuring a trio of legendary pitchers, Johnny Podres, Whitey Ford, and Juan Marichal. Pretty sure this is my first ever triple auto. 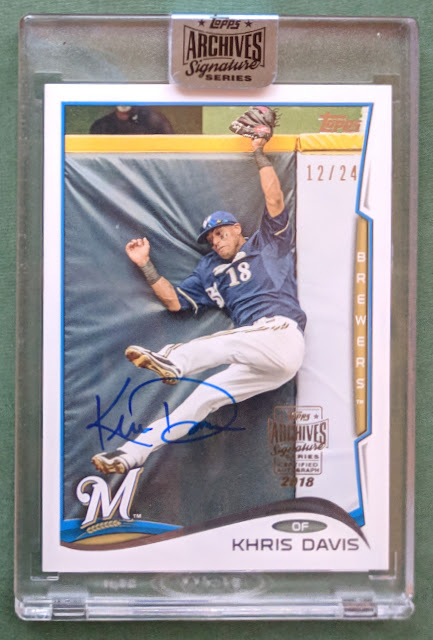 I'm generally not a fan of sticker autos, but I really like this card.. perhaps the shininess helps. Plus I got a nice deal on it, not much over the price of a blaster. And another Christmas Eve card I scored recently. Khrush Davis seems like a good dude, and this is a great looking card, made even better in my eyes with the prominent 12/24 numbering. His birthday is December 21, so not too far off. What are the odds he hits .247 again this year? It's my first autograph of last year's home run champ. 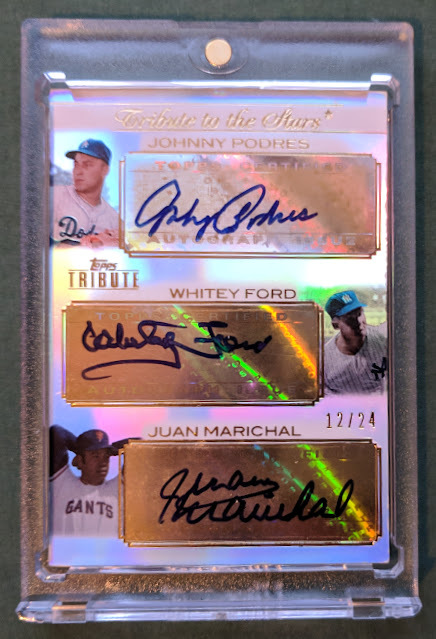 That's a sweet triple auto you picked up! Not much over the price of a blaster? That's awesome! I'm not a sticker guy either, but for that price I wouldn't have been able to resist.